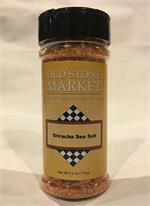 A variety of interesting salts to wake up the flavors of your cooking. 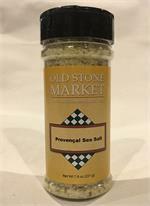 Makes a great gourmet gift when coupled with Black Peppercorns from Madagascar. 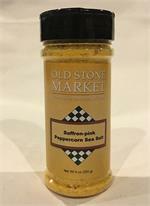 Salt and Pepper are the most widely used seasonings in the world. Salt is a term for a substance produced by the chemical reaction of an acid and a base. Sodium, an unstable metal that can suddenly burst into flame reacts with a deadly, corrosive, poisonous gas which is a member of the halogen family, chlorine, and it becomes a sable food: NaCl, the only family of rock that is eaten by humans. Chloride is essential for digestion and aids in proper respiration. And without sodium, the body cannot transport nutrients or oxygen, transmit nerve impulses or move muscles including the heart. It is widely documented that a very high intake of salt can result in higher rates of stroke and cardiovascular disease. However, a deficiency of salt in a human organism causes headaches, weakness, light headedness, muscle cramps, electrolyte disturbance and nausea. If totally deprived of salt death occurs. We all need salt in balance to function correctly. With all the talk of different sea salts in gourmet magazines and on cooking shows, it can be very confusing to choose a salt for you table. My husband was very perplexed when I started putting different pots of salt on our dinner table. “How do I know which one to use?” was his complaint. 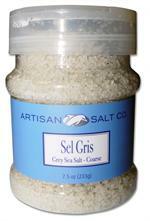 Personally, I like using different salts for different foods although I always stick to a natural sea salt. I have begun to appreciate and distinguish between the many varieties of sea salts and the ways that they enhance the flavor and finish of food. Following is a guide of my personal favorites. 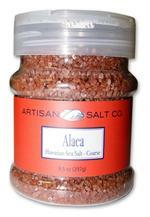 Himalayan Pink Sea Salt is the most natural, cleanest and purest salt in the world. It is the crystallized remains of the primal sea which dried up when continents collided and the Himalayan Mountain Range was formed. The deposits are 60 million years old and pristine. 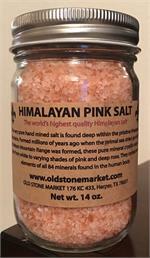 Mined today in the foothills of the Himalayans, the salt emerges from the ground in varying shades of pink. It contains all 84 elements found in the human body and is just a wonderful salt to use in your daily diet. 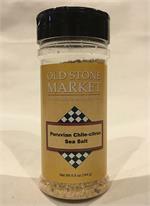 Sprinkle it onto a fresh salad, use it in marinades, season your main dish with it before cooking and use it at your table. Including this salt in your life on a regular basis may provide many health benefits, such as respiratory and sinus health, blood pressure regulation, bone strength and PH balance. It can also aid in removing toxins from the body. A therapeutic salt solution called “SOLE” (so-lay) can be prepared by placing 1 tablespoon of pink salt in an 8 oz container of water. Shake it and wait for 24 hours to see if all the salt has dissolved. If it has, add a little more salt, shake and wait another 24 hours. Keep doing this until the water can no longer dissolve the salt and a small amount remains on the bottom. The water has now reached a saturation level equal to that of natural sea water. Drinking 1-2 tablespoons of this solution each day will help you balance your PH and electrolytes. 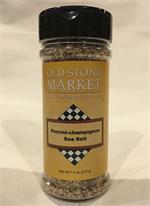 Smoked Sea Salts are a wonderful, natural way to add flavor to your recipes. I use them with vegetables, pastas, game, meats, poultry and even on a sandwich. 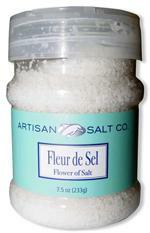 Salish and Fumee de Sel are my favorites.